Your young man will be the talk of the town being seen in his Stella McCartney Kids™ Toby 2-in-1 Zip Off Jogger Pants & Shorts. Features knee high zip pant removal giving him the option to wear as a pair of pants or pair of shorts. 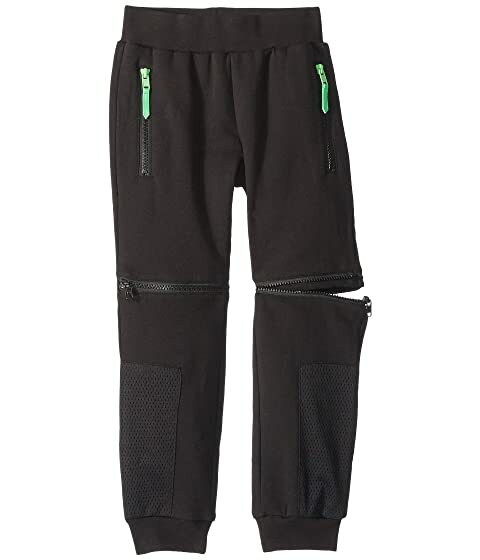 We can't currently find any similar items for the Toby 2-in-1 Zip Off Jogger Pants & Shorts (Toddler/Little Kids/Big Kids) by Stella McCartney Kids. Sorry!